Below, find the most current selection of single family homes in Cape Cod. Scroll down to choose from cozy capes to sprawling waterfront estates suited for a large family. Whether your next Cape Cod home will be your family's vacation home or year-round abode, the selection is nothing short of impressive. To narrow your results, use the criteria above and it will automatically update. 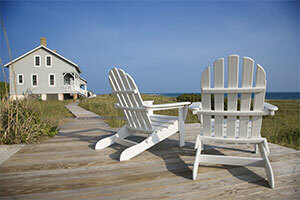 Contact Chatham Real Estate to learn more about buying Cape Cod single family homes. To save your favorite listings, register with our site for free! Charming Chatham Cape ready for you to enjoy all that Chatham has to offer. 3 bedroom, 2 bath, upgraded Kitchen with cherry cabinets, SS appliances including wall oven/microwave, side by side refrigerator. Step down family room off kitchen with lots of windows to enjoy great light and those cool summer evenings. Living room with fireplace, hardwood floors throughout. 2 first floor bedrooms with remodeled full bath, 3rd bedroom on 2nd floor with another full bath and additional office/den.Walkout basement allows for future expansion. Original owners offering Cape residence! Well-built house sits on a lovely street in a quiet neighborhood. Location is convenient to all Chatham shopping and beaches. Comfortable living room with wood burning brick fireplace and pine paneling. Step down to lower level large airy sunroom for family gatherings. Large bright eat in kitchen overlooking a cranberry bog, with a mile of countertops for the cook. Two cheery bedrooms on ground floor with full bath. Two more bedrooms up with full bath. Partially finished basement with bath. Washer and dryer in basement. Walk to Ridgevale Beach. Outside shower. Attached 2 car garage with shelving, work bench, and extra storage space above. Room for all your toys! Like new, 3 bedroom, 2 full bath Bungalow style home close to Nantucket Sound beaches, bike trial and with quick access to shopping and restaurants. Features include fir and wide pine floors, upgraded kitchen cabinets, gas heat with venting in place for central a/c, first floor laundry, a classically styled front porch, and a blue stone patio off the back, perfect for entertaining. The lot is large with room for expansion. Strong rental potential. Come see! Recently updated Cape style home, located in a quiet established neighborhood. This charming home has 4 bedrooms 2 baths, a renovated kitchen along with the following updates: New Dormer, Harwood floors throughout,new roof, windows, exterior doors, outdoor shower, irrigation, natural gas heat and central AC, Tankless hot water. Home is on town water and sewer. Close to Chatham village, Ocean beaches, multiple restaurants, schools, playgrounds and the bike path. Perfect home for year round, summer home, vacation rental, or retirement. It's time to start enjoying the Cape Cod Lifestyle! Check out this North Chatham Sleeper. Perfect for year round or vacation/rental fun in the sun. This well cared for home boasts many upgrades including both bathrooms, flooring, kitchen appliances, granite counters plus new tank less hot water. The dual fireplace will surely warm both those in the living and dining areas while either playing games or watching them. The back yard calls out to the recreational enthusiast with a full Bocci court, fire pit, spacious updated deck and more. Great all points location makes easy access to town and beaches. Looking for that Chatham charmer? Here it is in North Chatham. So close to it all, yet situated on a nice corner lot on a dead end lane. This convenient location makes it easy to enjoy the nearby coffee shop, beaches, Chatham A's baseball games, and Chatham Village restaurants & shops. In addition to the great beaches & village area, Chatham has the lowest tax rate around. This property could provide a nice vacation rental income if desired, an easy to maintain 2nd home, or great place for year round living.Everything on one floor makes for easy living in this quaint Chatham cottage. Laundry area includes a half bath. Full bathroom located in the main hallway. Lovely flowing layout, hardwood flooring throughout, and a great Chatham location makes this is a win-win-win! Renovators Welcome! This solid three plus bedroom home in Great Hill Estates was built in 1974 and is ready for a modern look. The location it top with association deeded rights to Lover's Lake, is close to downtown Chatham and beaches. Large rooms, two fireplaces, partially finished walkout basement and three full bathrooms provide a setting for a potential winning investment. This sweet ranch- style home situated on a corner lot in a quiet residential location is within walking distance to the Chatham ball field, elementary school and Chatham Village. The home features an open layout living room with fireplace, dining area and kitchen. There are two bedrooms, one full bath with tub, hardwood flooring and gas heat. The home was recently updated with an eye for Cape Cod charm. There is a full unfinished basement and outdoor yard space. This property is a terrific value and could be a great starter home or rental property. Renovated 3 BR free standing ranch home, organized as a condo. Fresh paint, updated kitchen and bath, gleaming fir hardwood floors, fireplace, 1 car garage plus the bonus of a newer efficient boiler.